& from France / Française including Romans-sur-Isere. 1. 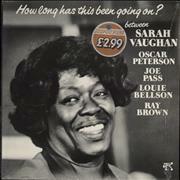 Sarah Vaughan - How Long Has This Been Going On?